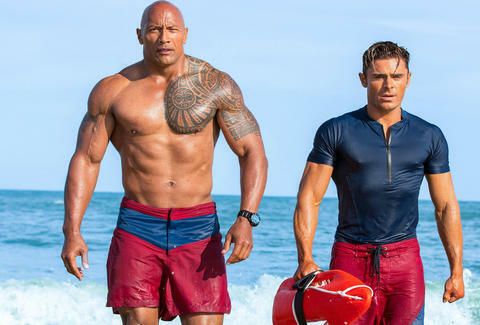 Anyone who saw the new Baywatch movie likely has a lot of questions, but some -- what the hell was with that taint scene? -- cannot be answered here. Discerning viewers likely picked up on the fact that the product driving Priyanka Chopra's driven entrepreneurial ambition is a drug called flakka, which Baywatch folks describe as bath salts on meth. As if bath salts weren't bad enough! This nightmare drug isn't just real, it produces results similar to bath salts in its users -- namely murderous rage, inhuman strength, and a penchant for chewing on people's faces. Flakka is pretty goddamned awful. Simply put, flakka is the popular name for the tongue-twisting alpha-pyrrolidinovalerophenone (or alpha-PVP), a synthetic drug that first began making waves in Florida back in 2014. Commonly sold for $5 per hit, the drug's ideal effects include euphoria and hallucinations, as well as a rise in body temperature, but even a slightly-too-high dose can result in anything from paranoid psychosis to cardiac arrest. Why does flakka drive people crazy? 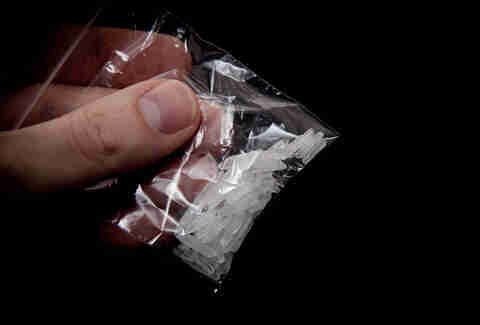 Flakka, like bath salts, is a type of synthetic cathinone: a drug chemically similar to amphetamines, whose mechanism of action on the brain isn't entirely clear. In addition to the paranoia and hallucinations, the most violent reactions to these drugs are often referred to as a sort of "excited delirium" -- which is a fancy way of saying you're so agitated & violent that chewing someone's face seems like a perfectly normal thing to do. So how is flakka different from bath salts? Technically, the two are chemically distinct variations within the same synthetic cathinone family, but thanks to the overall shady nature of these drugs it's quite common for flakka to be included as an active ingredient in whatever's being sold as "bath salts," so there's a fair bit of overlap. Really, though, the fact that "bath salts" is already a misnomer should indicate that you're probably not getting what you think you're getting. According to the DEA, Flakka use skyrocketed over the last few years, from 85 cases in 2012 to over 670 in 2014 -- that said, flakka-related arrests and deaths have reportedly seen a remarkable decline in South Florida, one of the areas worst-hit by the drug. Of course, if the aforementioned brutal murder in Martin County does turn out to be the result of a flakka overdose, those statistics will likely have to change. Gianni Jaccoma is an editor at Thrillist, and he's waiting for the inevitable Krokodil epidemic to hit Florida. Follow him on Twitter @gjaccoma.